I have only one holiday a week. And I wouldn’t like it if I am made to work on that holiday instead of playing with my friends. Tom Sawyer is in the same situation, for he is made to whitewash the long fence by Aunt Polly oh his holiday. Aunt Polly is a strict lady, and she wouldn’t approve Tom neglecting his work. But Tom is a clever lad. 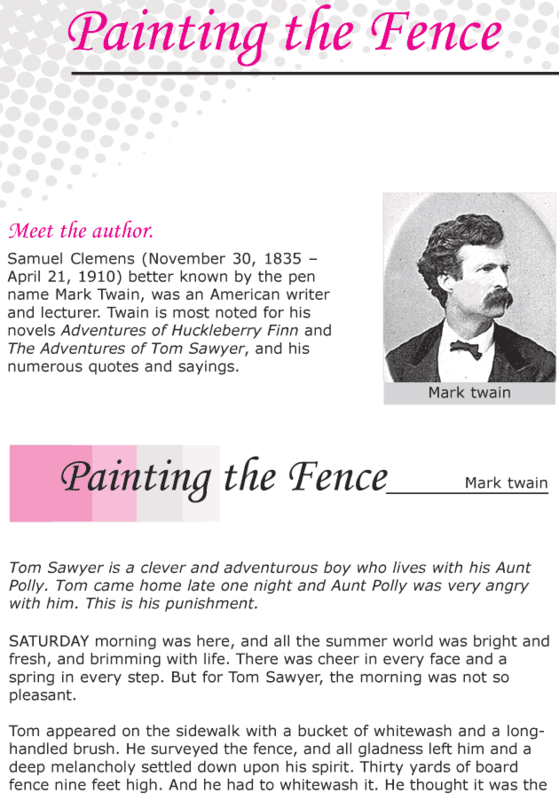 Let’s see how he solves his problem in this story Painting the Fence by Mark Twain.